I am on the verge of buying a really nice camera - in the meantime here are a few photos of just prior to leaving NZ - a domestic view of Wellington - and a flavour of the road here on a trip out to see nature...cows and fruit truck carnage. I feel fortunate to have caught the very end of the mango season. Anyone who knows me may recollect that they are my favourite fruit, indeed along with Teriyaki Tuna steak they are my favourite food of all. If I had to live on just two things those would do fine. 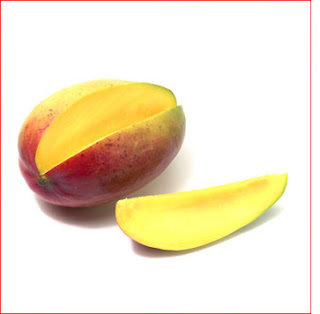 There are lots of varieties to choose from - over 270 apparently - and there are even mango festivals to be witnessed. This is after all the native place of the mango. I wondered out loud if one might find the kind of festival where sloshing around in the pulp, perhaps clad only in a dhoti, would be the form. Of course someone immediately said that to do so in a country where millions barely survive might not be exactly ethical. Yawn. Feels good to be back here in booming yet somehow relatively laid back Mysore. They are putting in an airport here as we speak and the place is moving on apace with all available land being built on at frantic speed. New restaurants and supermarkets have opened all over the place and the traffic is noticeably thicker even compared to 8 months ago. So is the pollution. I chatted with P in Wellington about the concept of off setting one's carbon emissions and then the conversation meandered onto giving money to beggars in India. Although previously I have never done this anywhere, this time I am making an exception. We talked about what beggars might do with their money and concluded that it is up to them of course. They can either use it to get absolutely blotto - like the guy I stood next to for a while yesterday at a bus stop in town who was slumped, perhaps ominously, in the recovery position on the smooth cement of the shelter; he was just breathing, though not enough to disturb the flies that peppered his grubby red t shirt and filthy beige trousers which fell almost open around his hips. I had seen him before, in much the same state, though slumped in the middle of the road, last year. Another option for the revenue stream is of course to pay their 'protectors' of which I'm sure there are many here. Finally I thought of the old lady with 3 fingers who crouched almost invisible in a corner of a stair well leading to the dentist a friend of mine used last year. As you pass the fingers they emerge from the half light and if you glance up an impression of dusty blue cloth wrapped around a tired, old and hungry face can prick the conscience. Maybe she can buy Rs10 of carbon offset. I am currently about 50% deaf. Mainly thanks to the effects of a very clogged up face. Wellington had a revolting cold going around and I seem to have been contaminated - damned cities. After two flights yesterday, from Napier then Auckland to Sydney, my Eustachian tubes simply cannot stand the heat. Just to pile on the pressure my shoulder is still sore as from aikido - torn ligament in the AC joint - which means that all strong exertion of the shoulder is OUT for another month. So, with a cold and a sore shoulder I am still very happy to be on my travels - I enjoyed Wellington even though it was cold and wet; there be life! - and waking up on a Sydney morning never seems to lose its charm. Catching up with R and T who have a very cute new baby, Lily, and today having lunch with Tara and a clairvoyant friend of hers - maybe I should try and find out if 'anyone' has advice for my trip to India.